A snapshot for day two of the second Test between Australia and Sri Lanka at Canberra's Manuka Oval. Man of the moment: Kurtis Patterson made Sri Lanka pay for dropping him first ball on Friday as the 25-year-old smashed a maiden international century in his second Test for Australia. 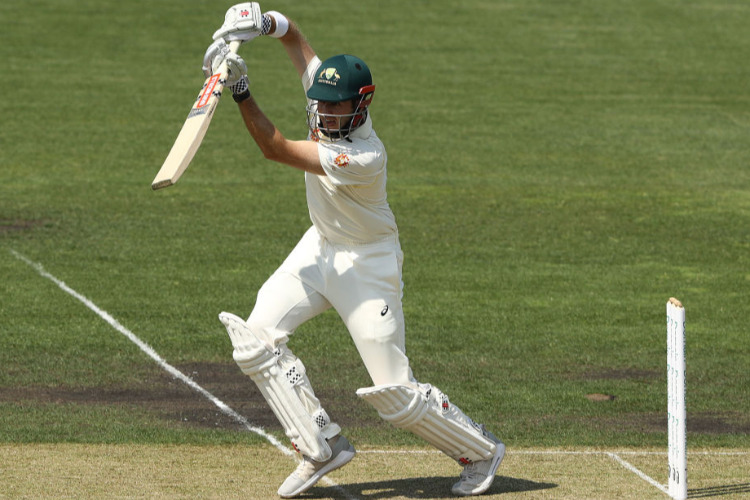 Key moment: Australia's 5-534 came at four runs an over and captain Tim Paine thought that was enough, declaring less than an hour after lunch to ensure his team had half the day to have a crack at Sri Lanka's batting line-up. Stat of the day: Patterson's Test average sits at 144 after walking off Manuka Oval unbeaten on 114, going with a 30 from his debut innings at the Gabba. Summary: After Joe Burns added only eight runs to his overnight score of 172, Australia picked up where they left off from day one. Patterson and Paine scored freely, sparking a surprise declaration during the second session. Sri Lanka's top order had none of the early issues they experienced in the first Test, but ended the day on a difficult note as Dimuth Karunaratne was struck on the helmet and taken off on a motorised stretcher. Sri Lanka proceeded to lose three wickets after Karunaratne's injury. Quote of the day: "Probably about 1000 beers" - Brad Patterson, when asked how he would celebrate son Kurtis' century.